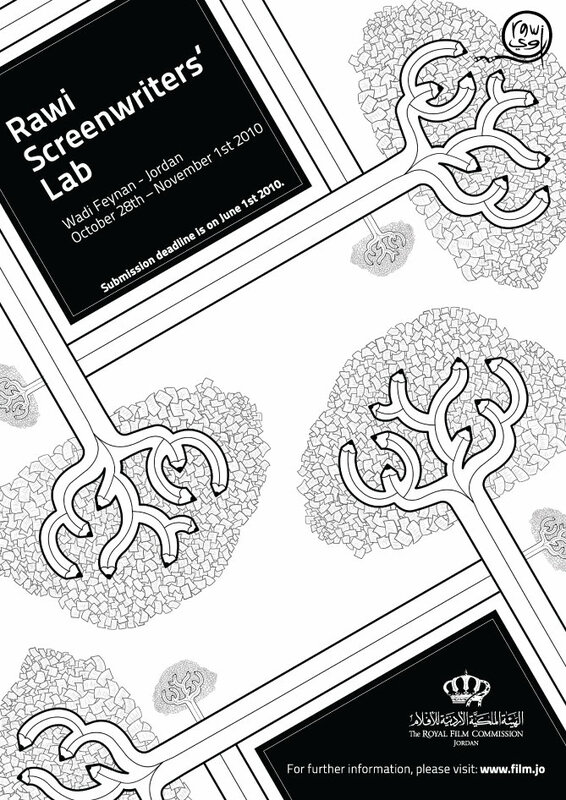 Artwork for Rawi Screenwriters' Lab. 2010. 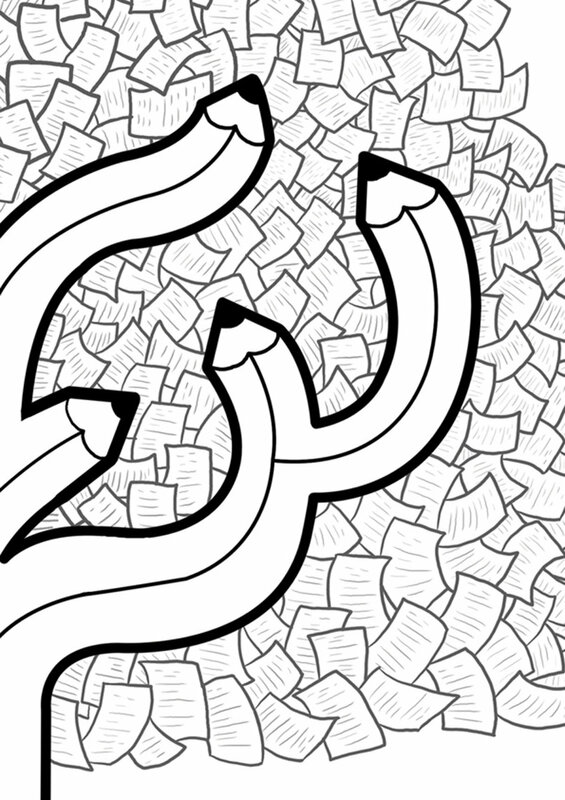 Detailed view of the artwork. 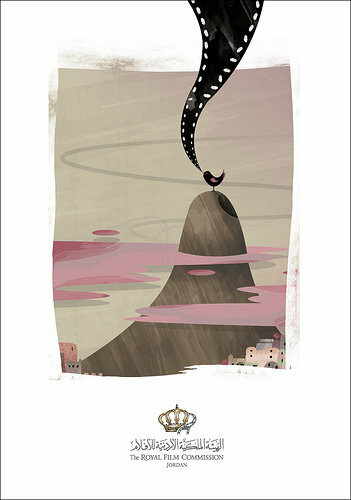 Greeting card for the Royal Film Commission. 2009. 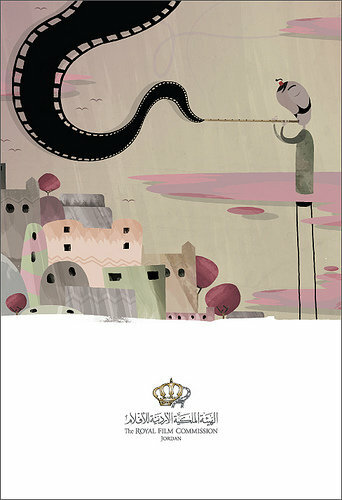 Poster made for the Palestinian Film Week in Amman. 2008. 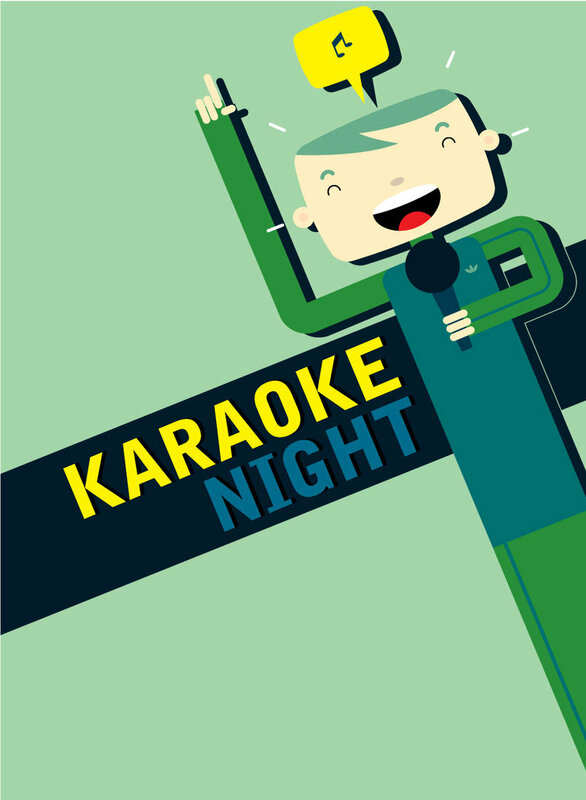 This poster was created to promote a karaoke night to the employees at work. I tried to be as much "Japanese" as possible here since it's karaoke! 2008. 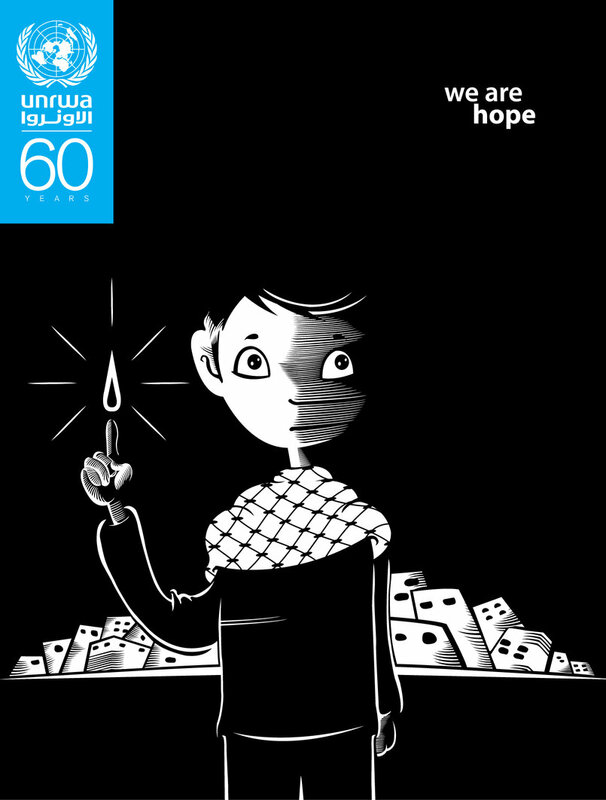 This poster won the first prize for "Hope", the UNRWA poster design contest for its 60th anniversary. 2009. 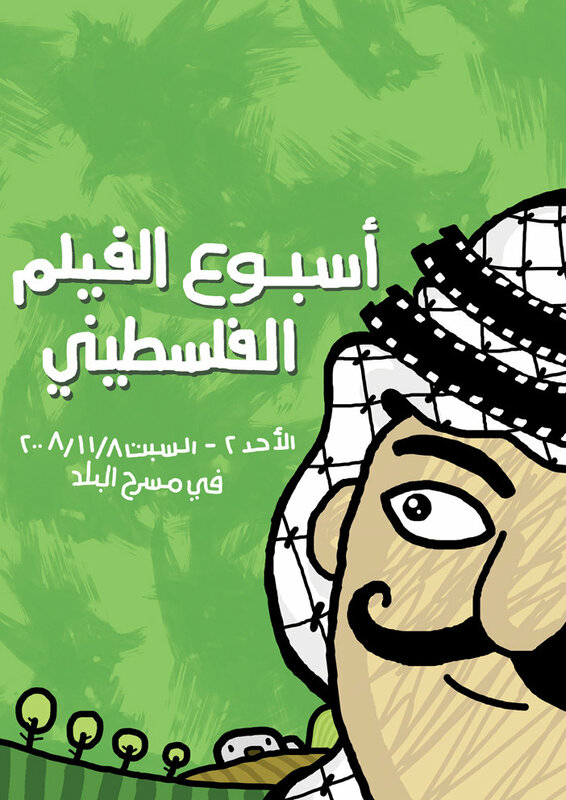 Characters, identity & logotype design for "Mostaqbaly (My Future) Account". 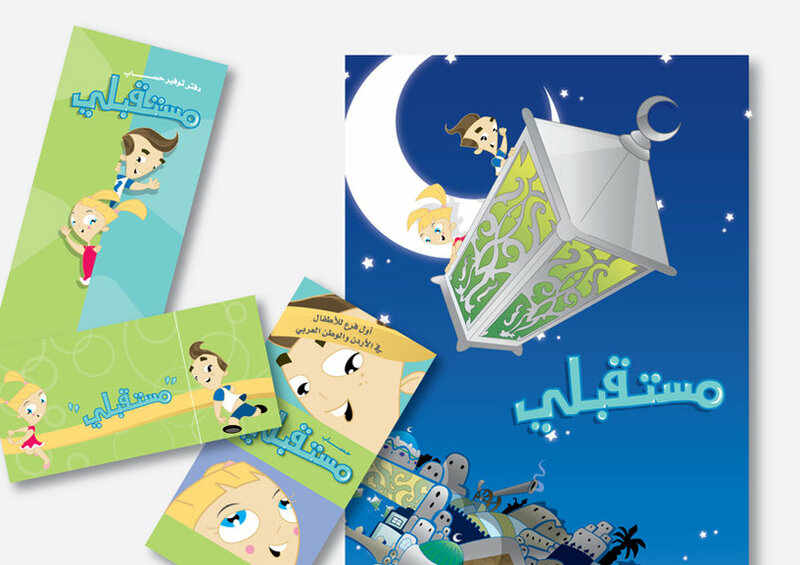 Through a dedicated banking branch for kids. 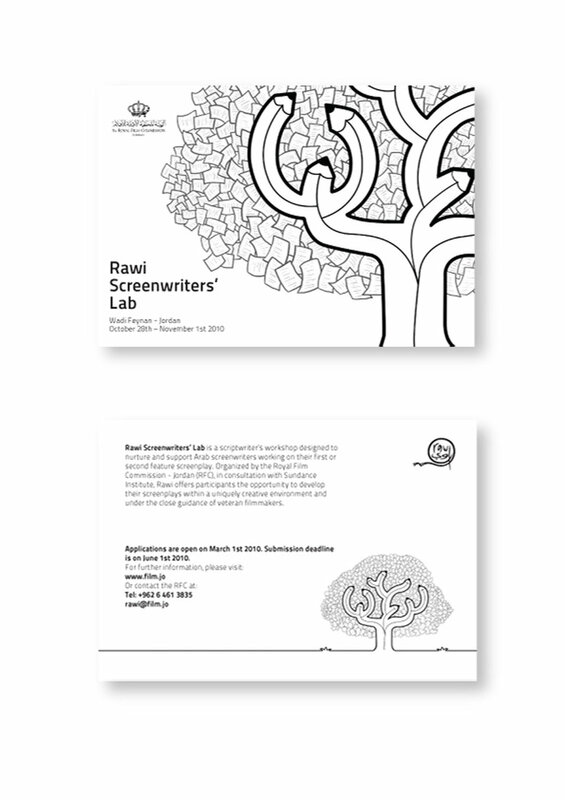 Client: Housing Bank. 2007.